Today was a great day in Anniston/Oxford! 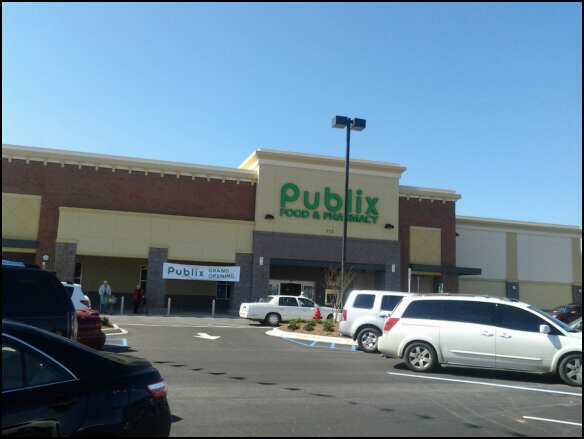 The brand new Publix Supermarket opened at the Oxford Commons. This supermarket is 49,000 square-feet and features a expanded selection of natural and organic foods. 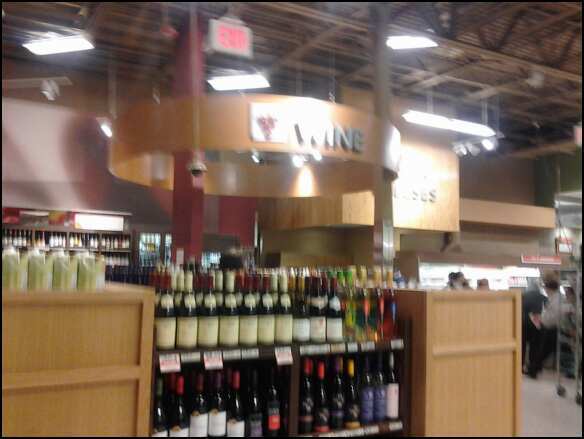 This is the only Publix in Alabama that features this! When I got to the Publix, it took me around 30 minutes to find a parking spot. Yes, this place was packed! When I walked in I was greeted by an employee and received a flyer. Right there they were giving away free samples of their cinnamon raisin bread. The store has a huge bakery and deli area, I mean huge! 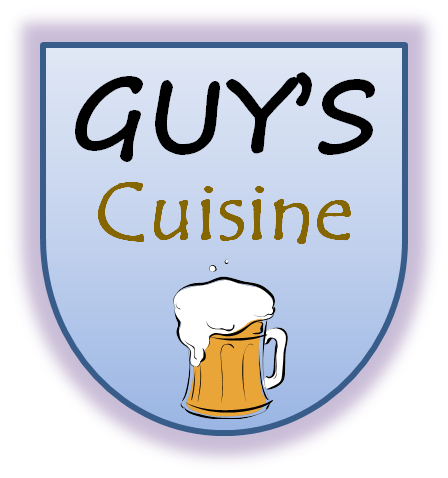 They have a salad bar, olive bar, pacific wok station, huge wine selection, and my favorite, a cheese station that has more than 200 different types of artisan cheeses from all around the world! The store design was great! I was able to find all the things I needed quickly, even though the crowds were huge! The meat selections in the back were plentiful! And comparing prices to Winn-Dixie, I thought the prices were about the same. I did enjoy all the samples throughout the store. It even got me to buy one of those samples! 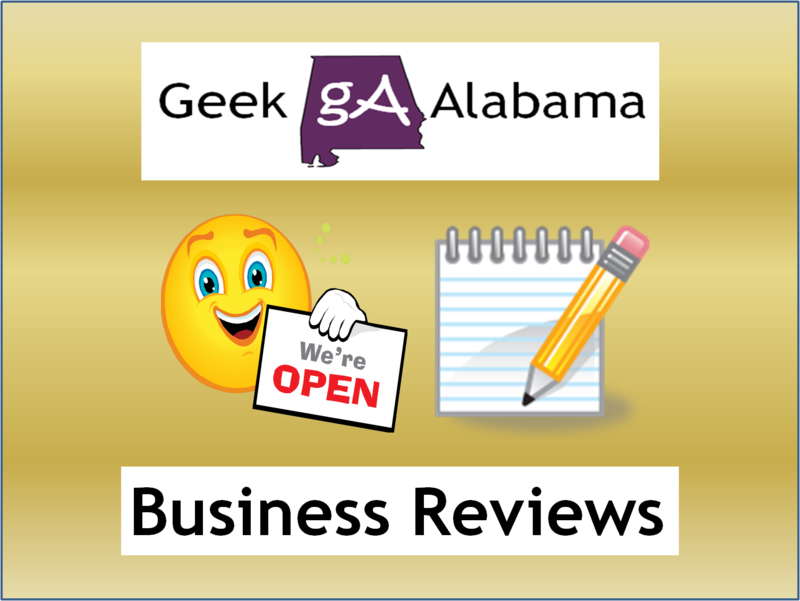 The customer service was awesome! Several employees were greeting me and asking if I needed help finding anything. Employees were helping to check-out people quickly and a manager even got my shopping basket while I was standing in line, I have never had that done before! 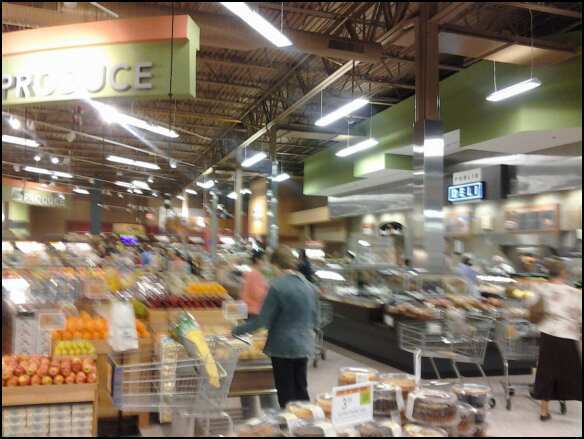 ACSI ranked Publix as the highest-ranking supermarket for customer satisfaction for 19 years in a row. I can see why! 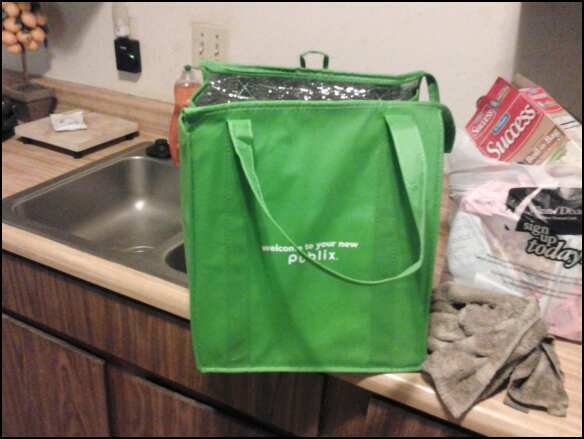 Each guest got this free Publix insulated bag. I will be using it in the future! 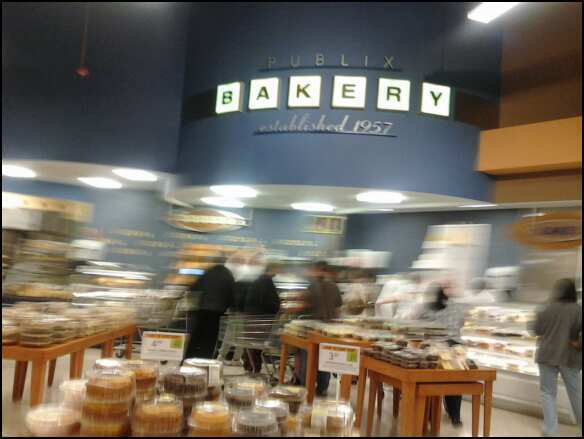 The Oxford Publix combines gourmet, natural and organic foods along with traditional groceries. 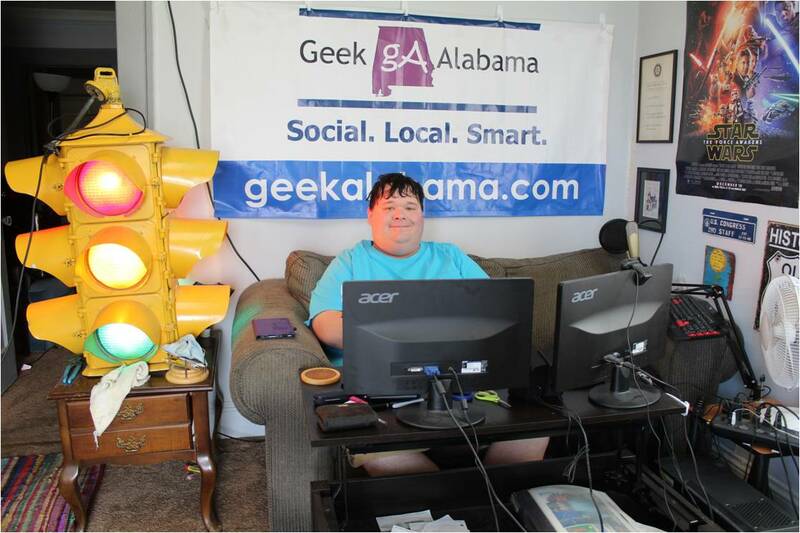 And this is a good thing since I run a food blog on Geek Alabama! I will be going back to the Oxford Publix often for my needs! I thought the prices were comparable to Winn-Dixie. But the big difference is the customer service, that is what brings in the business! I got some Publix Premium items that some people swears by. 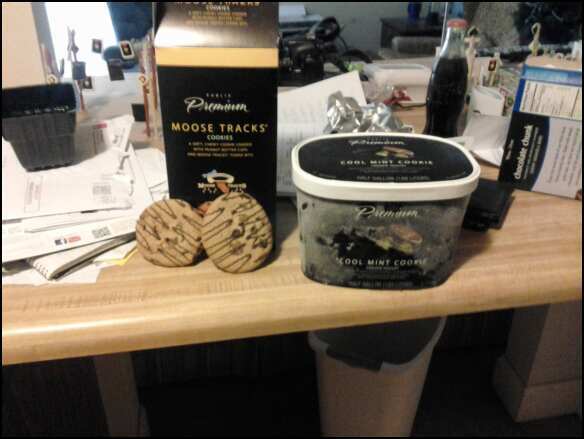 I got some Moose Tracks Cookies, the samples convinced me! I also got some Cool Mint Cookie Frozen Yogurt. Wow is this stuff good! I will be getting some supplies for A Guy’s Cuisine from Publix! You could say that Publix is a favorite for many food bloggers. It’s because Publix has a huge selection you can choose from! As soon as someone would hire me again, I will be attempting to get fancy with the food blog! So stay tuned!